Cyclists traveling from the Dublin suburb of Tallaght into Dublin City need to cross the M50 ring road. The junction in the background of the above photo includes the slip turn marked ‘M50 North’ and that is followed by a three-lane of roundabout with fast-moving traffic. Fun for cyclists. So much fun that the council does not bother to sign post the alternative — commuter cyclists might as well get their adrenalin pumping before work and sticking with traffic is quicker than the underpass artwork we featured a few weeks ago. 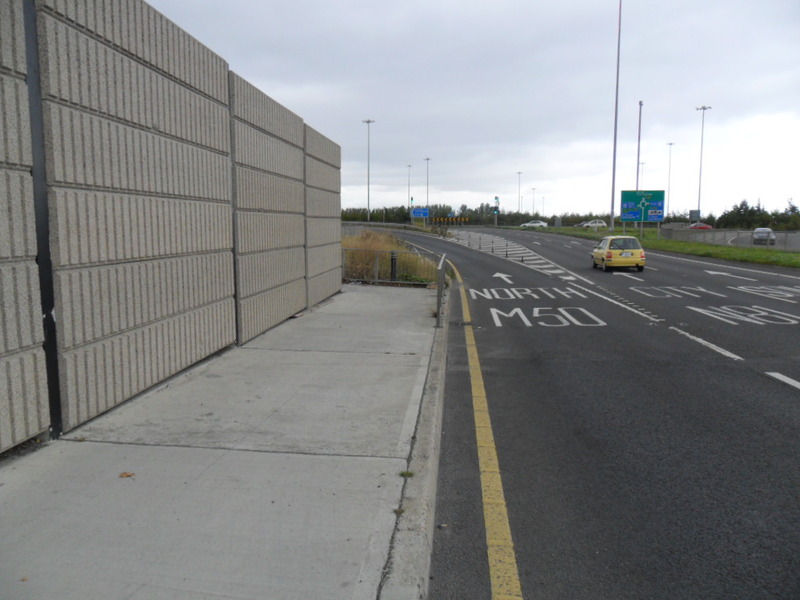 When approaching on the N81 from the Tallaght side, there is no indication of the existence of the cycle underpass. No signposts, no directions, nothing. The only access to the underpass is through what looks like a pedestrian entrance to a housing estate, at a right angle, from a footpath.